ETH price declined heavily and broke the $375 and $360 support levels against the US Dollar. There is a short-term declining channel formed with resistance near the $362 level on the hourly chart of ETH/USD (data feed via Kraken). 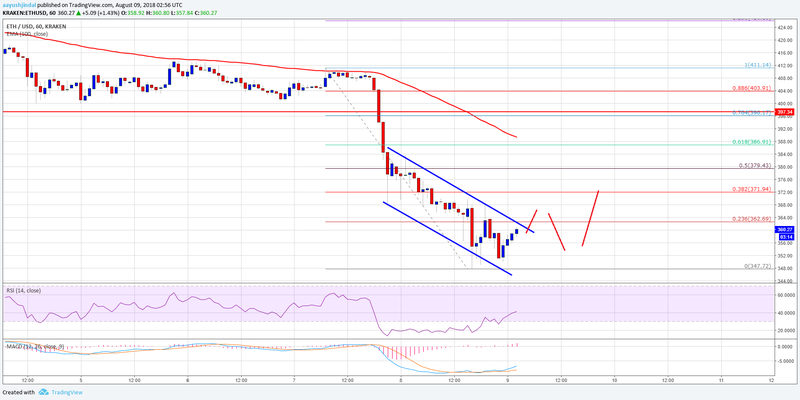 The pair could correct higher in the short term towards the $370, $375 and $380 levels. 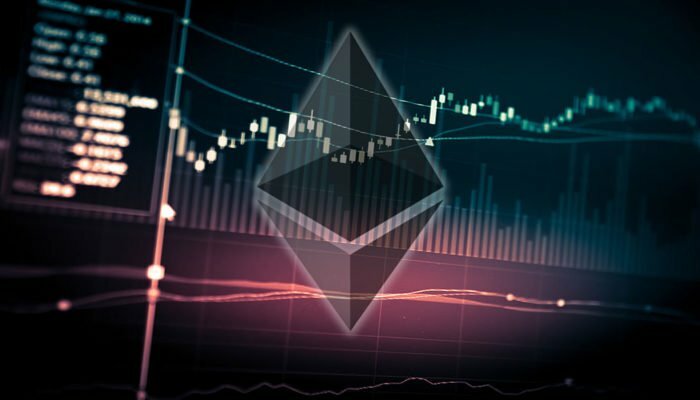 Ethereum price remained in a bearish zone against the US Dollar and bitcoin. ETH/USD is currently correcting higher and it may perhaps test the $380 hurdle. There were further slides in ETH price below the $375 support level against the US Dollar. The ETH/USD pair even broke the $360 support and spiked below the $350 level. A low was formed near the $347 level and the price is currently correcting higher. It moved above the $355 level, but there are many resistances waiting on the upside to prevent gains. The first hurdle is the 23.6% Fib retracement level of the recent decline from the $411 high to $347 low near $362. It coincides with a short-term declining channel with current barrier near the $362 level on the hourly chart of ETH/USD. A break above the channel resistance and $365 could open the doors for more recoveries. The next major resistance is near the $370-375 zone. It represents the 38.2% Fib retracement level of the recent decline from the $411 high to $347 low. Above this last, the price may perhaps test the $380 resistance level, which is a major hurdle for more gains. Looking at the chart, ETH price is slowly recovering above $350, but it is likely to struggle above the $370 level. On the downside, the recent low of $347 is a decent support. Below this, ETH could accelerate declines towards the $320 level in the near term. Hourly RSI – The RSI is correcting higher from the oversold area towards the 45-50 zone.